Until 30 September 2018, the National Museum of Fine Arts of Buenos Aires presents the exhibition "Venice in the Key of Green. 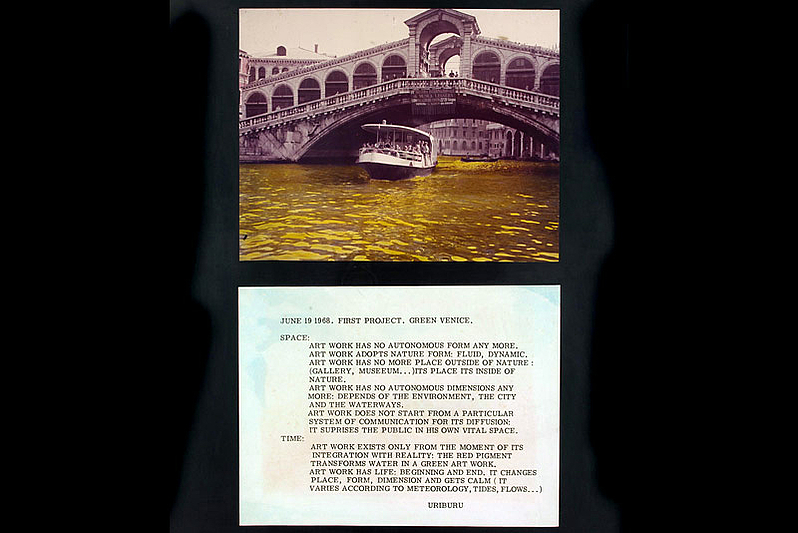 Nicolás García Uriburu and the coloration of the Grand Canal," commemorating the 50th anniversary of the Argentine artist's intervention in the waters of Venice on June 19th, 1968. "Nicolás García Uriburu is a fundamental referent of land art and, at the same time, a pioneer of ecological awareness, which he formulated with the language of artistic action," explains the Museum's director, Andrés Duprat. 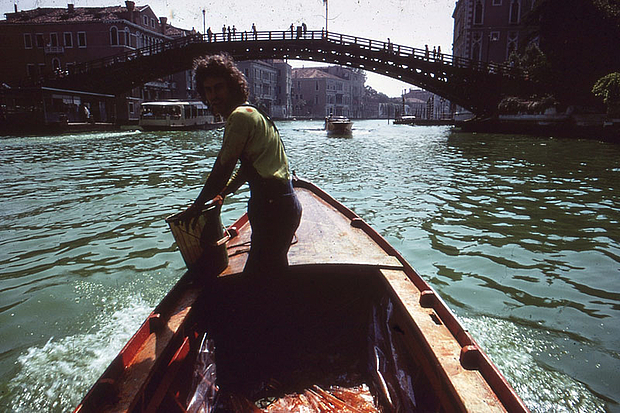 "The dyeing of the water of the Venetian canals during the 1968 Biennale proposed a double reading in a single gesture: By restoring its colouring, García Uriburu denounced human activity that upsets nature and turns it into a useless artifice. On the other hand, the disruptive nature of the action, which was carried out clandestinely, without the protection of the institutions, called into question the arts system as such, in line with the spirit of those times." 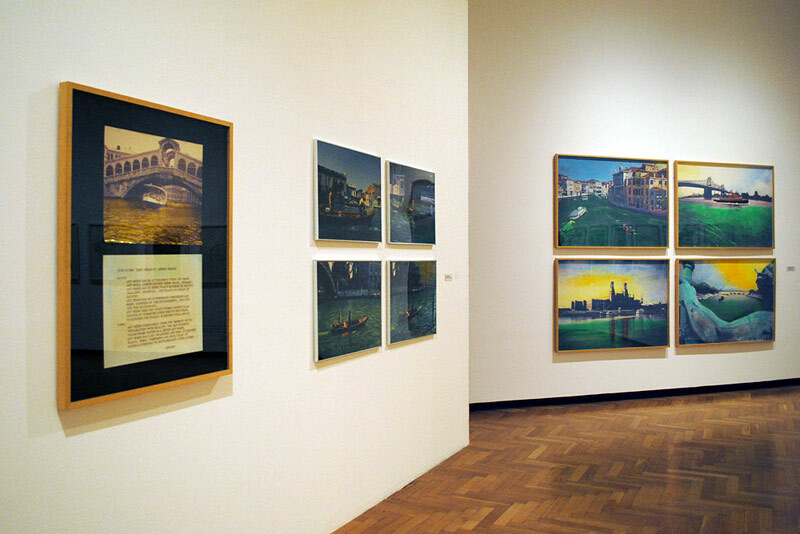 Pastel on photograph, 1970, in the arragement exhibited at the Venice Biennale in 2017. 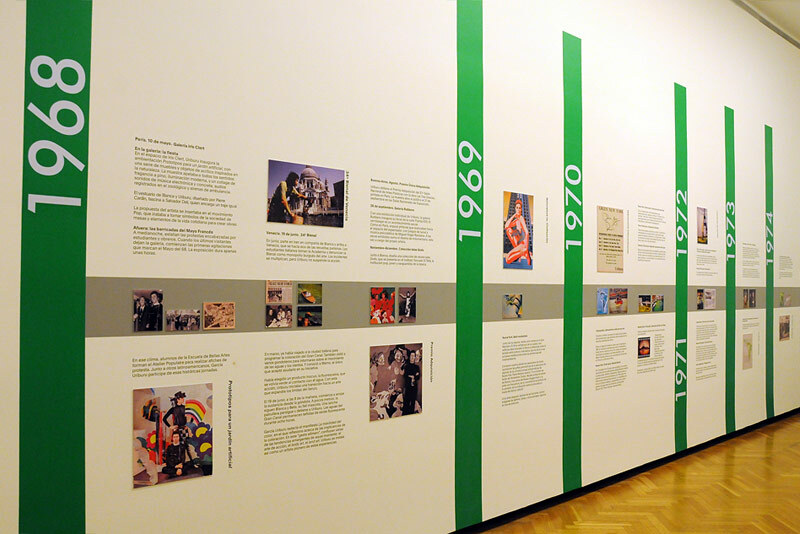 Curated by Mariana Marchesi, the MNBA's artistic director, the exhibition focuses on the period from 1968 to 1974, and brings together silkscreens, intervened photographs and documentary pieces relating to the colouring of 1968, and other historical colouring interventions, as well as a selected group of paintings made in those years. 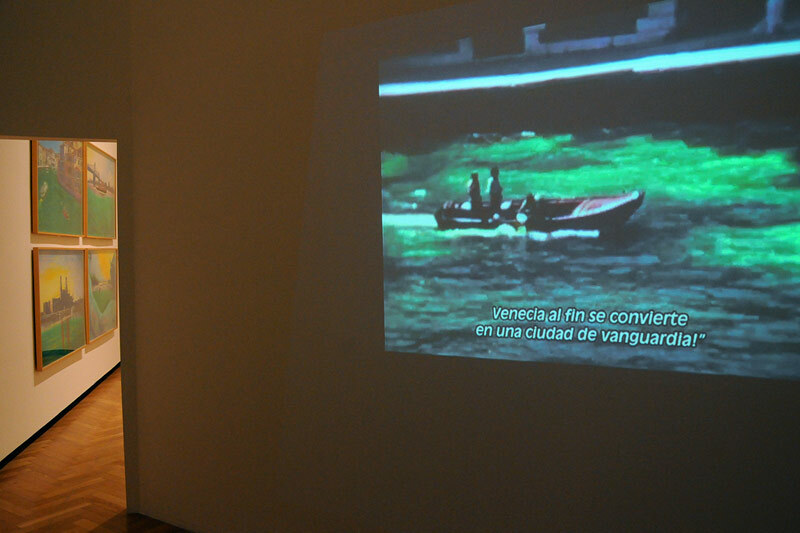 Within the framework of the 34th Venice Biennale, which was in convulsion after the events of the French May, García Uriburu carried out an artistic action that, in time, would mark a decisive moment in his career. With the coloration of the Grand Canal - in the context of the early manifestations of performance and conceptualism - the Argentine artist reflected on the role of painting and the aesthetic alternatives of the avant-garde, which advocated the fusion of art with life. 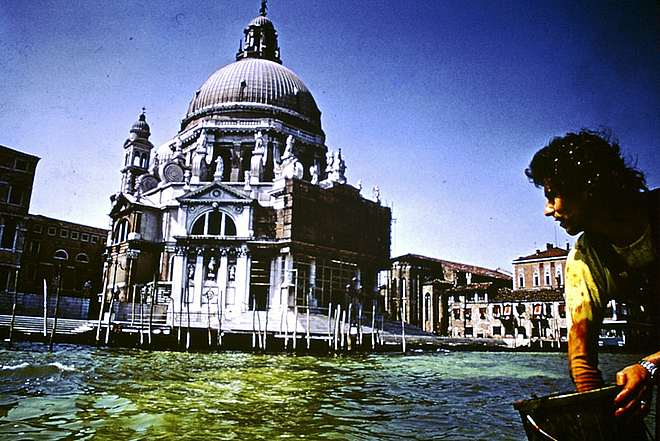 Nicolás García Uriburu: Coloration of the Grand Canal of Venice, 1968. After some months of research, he chose to use a fluorescent substance to dye the water, as it met the necessary visual and environmental conditions: harmless to flora and fauna, green and uniform dye. This initiative was the origin of the numerous interventions in nature that the artist developed in different parts of the world -in Buenos Aires, Paris, Brussels, London-, and that evidenced the direction of his later works, always marked by his concern for the environment. (From press information of the MNBA. Nicolás García Uriburu: 1937 - 2016 Buenos Aires, Argentina. Central Exhibition "Viva Arte Viva", 57th International Art Exhibition. Curator: Christine Macel. 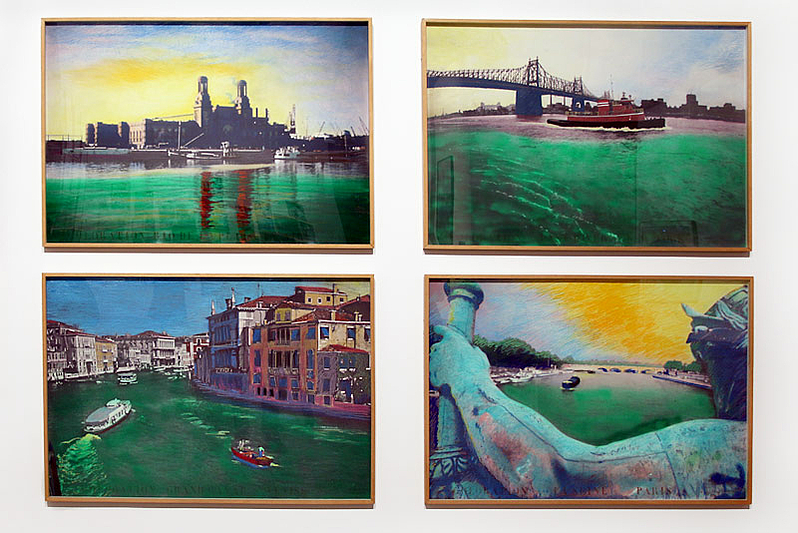 Berni and the Argentine representations at the Venice Biennale. 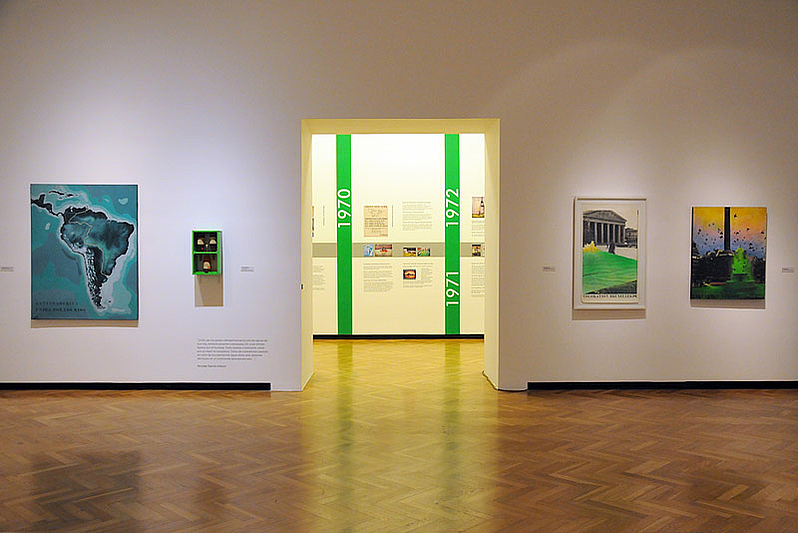 Photos and review of the show at Fortabat Collection, Buenos Aires. 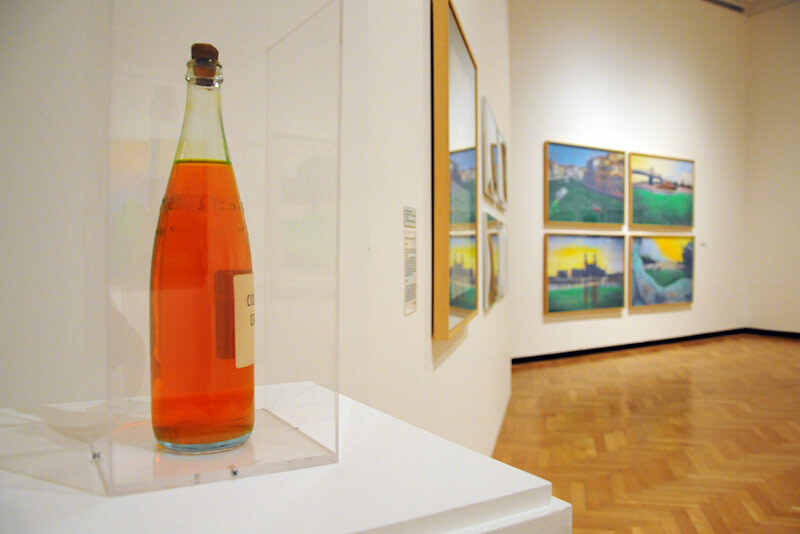 Curator: Rodrigo Alonso. An orientation guide to discover Buenos Aires as a vibrant art city with a rich art history and cultural heritage.